Oklahoma Estates is an established neighborhood for Mid-Range Homes for Sale in Sykesville MD. It offers buyers looking to expand tons of room, great neighbors and top notch schools. This area of Sykesville in Carroll County MD is close to Washington DC and Baltimore, with quick access to Rt 70 via Rt 32 and 695 and 95 via Liberty Rd, while retaining the slower pace of a semi-rural community. 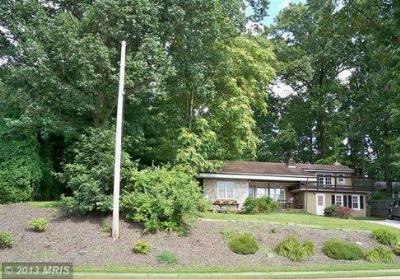 Browse Sykesville, MD homes for sale on www.kwhogan.com, email me or call Kevin W Hogan at 410-917-6116. Kevin W Hogan- Realtor- Member of The Paul Gillespie Team at Exit Preferred Realty- Through a combination of advanced search technologies and old fashioned personalized service, he affords his clients with the highest level of service and is there for each step of the sale or purchase of your home. Customer First and FHA 203k Loan agent specializing in communities in and around the Carroll County area such as Eldersburg, Sykesville, Mt. Airy, Woodbine and Hampstead.